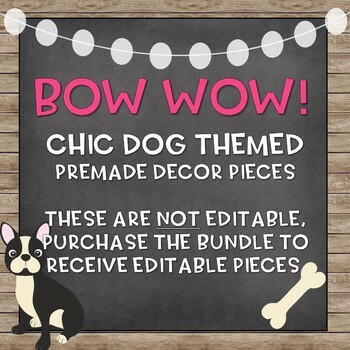 This classroom decor pack will go perfectly in a dog, chic, or shiplap themed room! I think they would also look great with chalkboard classroom decor! This listing includes ONLY the premade portions that coincide with the Dog Themed Bundle. These are NOT editable. This listing is only included in my store to be added to my bundle.